Glad You Asked: What is an Unconformity? 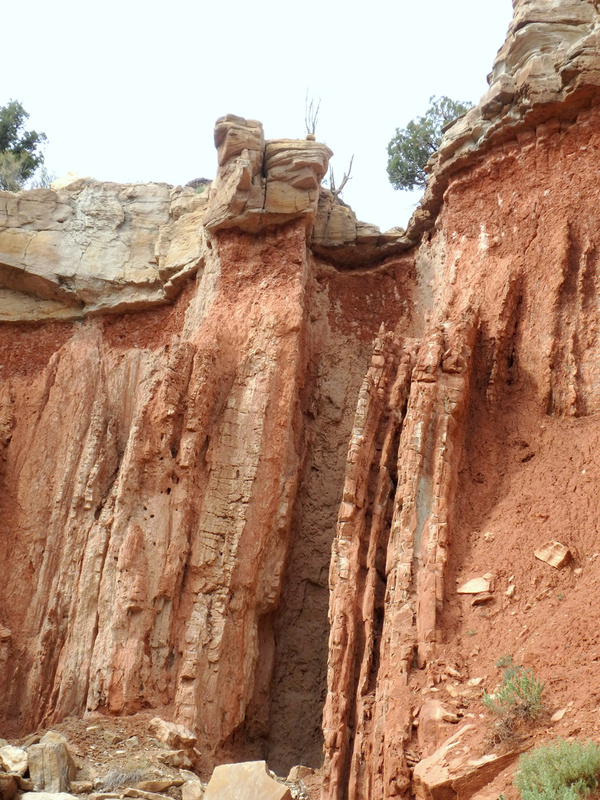 Close-up view of the contact between the vertically tilted Twist Gulch Formation and the Flagstaff Limestone of the Salina Canyon unconformity. 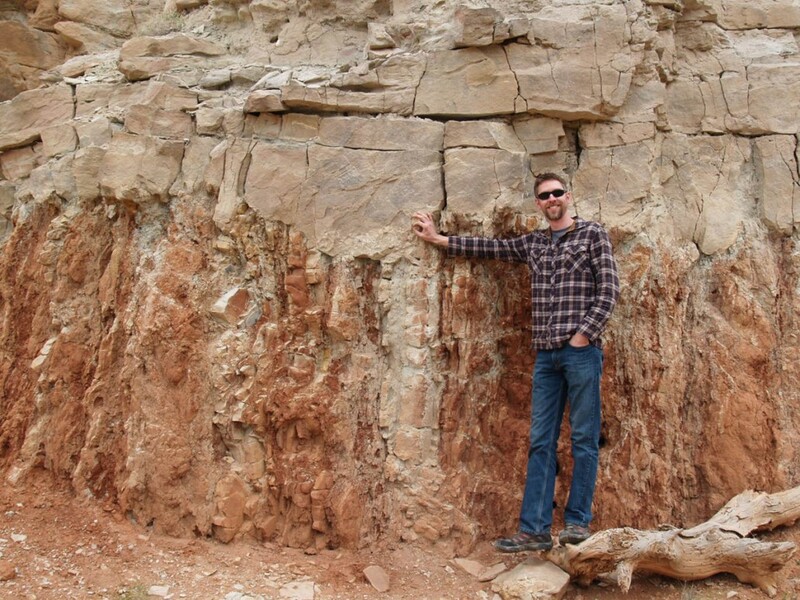 Put simply, an unconformity is a break in time in an otherwise continuous rock record. Unconformities are a type of geologic contact—a boundary between rocks—caused by a period of erosion or a pause in sediment accumulation, followed by the deposition of sediments anew. Danish scientist Nicolas Steno first sketched an unconformity in the year 1669. 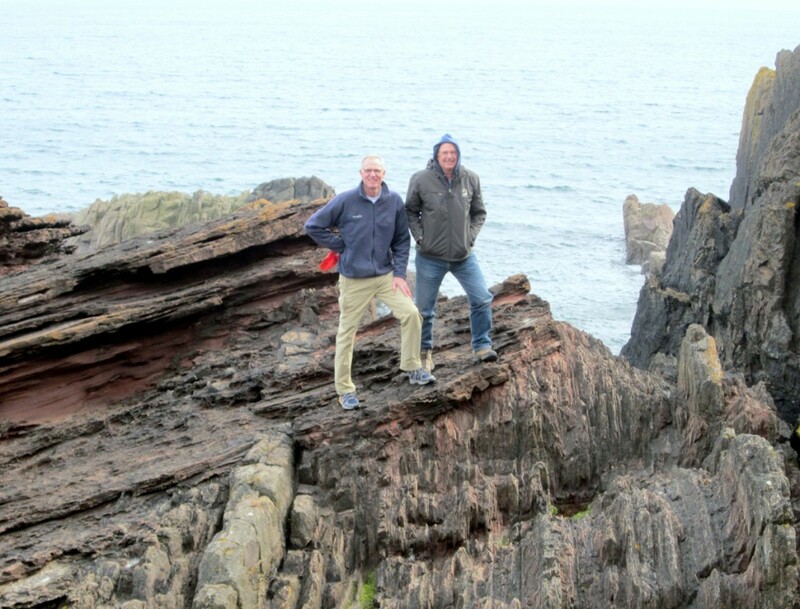 Unconformities, legendarily James Hutton’s Unconformity at Siccar Point on the coast of Scotland, played a key role in advancing theories of geology at the end of the scientific revolution in the late 18th century. Hutton sought out, described, and exhibited unconformities as conclusive evidence of deep time, tectonic forces, and the recurrent cyclical processes shaping Earth’s crust. Accordingly, Siccar Point is a geologic shrine, a destination for Earth science pilgrims, and has been christened “The Great Unconformity.” That term also pertains to the famous unconformity in the Grand Canyon, also known as “Powell’s Unconformity,” where a quarter of Earth’s history, more than a billion years, is omitted. In Utah, a still longer span of time is absent at the unconformity on the Colorado River at Westwater and Ruby Canyon in Grand County. Here one-and-a-half billion years is missing between a black, schistose Precambrian rock and the overlying Triassic Chinle Formation. Lesser known than the “Great” unconformities, the Salina Canyon unconformity in Sevier County, Utah, is an exemplary unconformity that is striking in appearance. Sediments accumulate layer by layer in low-lying places such as the ocean floor, river deltas, wetlands, basins, lakes, and floodplains. An unconformity is created when these depositional environments change to a regime of no-net accumulation so that the deposition of sediments, which records time, ceases. In some cases, sediment accumulation simply stops, and more often erosion begins stripping rock layers away. Eventually, these static or erosional areas become depositional environments once again, typically through subsidence of the land or inundation by rising water. Thereafter sediment begins to accumulate and depositional history resumes in the rock record. What remains of this deposition-erosion-deposition sequence is an unconformity, a boundary between a group of older rocks below and the younger rocks above. The contact represents a span of missing time in the rock record, called a hiatus. This line in the rocks can be irregular or horizontal, depending on the topography of the original surface when deposition of sediments resumed after the hiatus. Unconformities are classified according to their genesis as either angular unconformities, paraconformities, disconformities, or nonconformities. The most obvious are angular unconformities where there is a change in the configuration of rock layering. 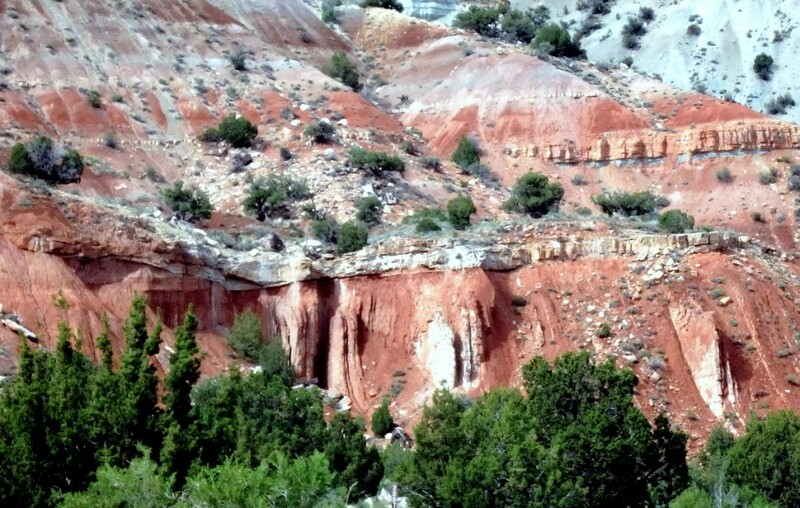 In this case, horizontal sedimentary layers overlie tilted or contorted sediments, such as at Hutton’s Unconformity, the Grand Canyon unconformity, and the Salina Canyon unconformity where the rock layers below the hiatus are nearly vertical. The most difficult to recognize is the paraconformity where horizontal sedimentary rocks are above and below the contact—there can be scant visible evidence of a hiatus when identical rocks are above and below. Disconformities are akin to paraconformities, but are usually easier to recognize because of irregular topography at the contact between sedimentary rocks. Nonconformities are the only type where the rock below the hiatus is not sedimentary rock, but rather igneous or metamorphic rock that has been planed-off before sediments were deposited over them. Sea-level fluctuations commonly produce paraconformities and disconformities. When sea levels drop, erosion begins on the newly exposed land. When sea level rises and covers the land, deposition recommences. The time recorded in the sediments is equivalent to when the land was submerged, and the hiatus represents the time when the ocean had withdrawn from the land. Tectonic forces also produce unconformities, especially angular unconformities and nonconformities. When a region is uplifted, deposition usually ceases and erosion begins. Mountains rise, and rock is deformed under pressure, folded, and faulted, and erosion dominates over tens or hundreds of millions of years throughout the region. After uplift ceases the mountains are planed down to low-lying depositional environments once again. The time when deposition resumes is marked by unconformities. The passage of time at the hiatus encompassed the raising and dismantling of a mountain range.